Please browse the gift ideas we have come across for fans of books, music, computer software, and other forms of media throughout 2010. We hope you will find this gift guide to be helpful in finding the perfect gift. Description: This hardcover rhyming picture storybook is illustrated by the author. It tells the story of a little boy who climbs up a tree, but cannot get down. He struggles between listening to his own instincts and taking the advice from the animals who happen by. Description: This book tells the story of a lonely and hungry piggy bank named Penny who becomes a special gift to a little girl. 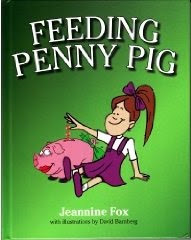 The little girl earns pennies to feed Penny everyday so that the little pig never goes hungry again. 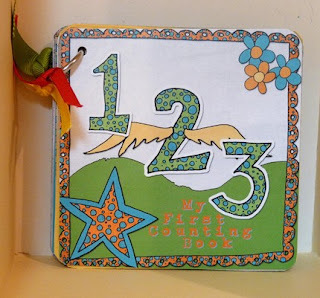 Description: This board book is handmade and designed with care by a small mom-run business. The each page features easy-to-recognize objects and characters to help a child with number recognition and learning to count from 1 to 10. 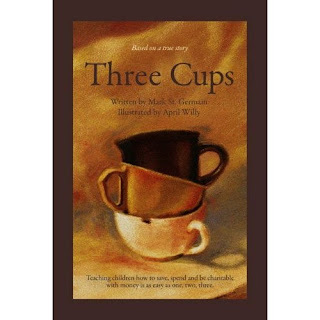 Description: This hardcover book tells the story of how a boy received three cups on his 5th birthday. This boy's parents taught him how to be responsible with his allowance, while still enjoying it, by using these three cups in a way that stayed with the rest of his life. Description: Hardcover historical reference book featuring the top 100 world records between the year 2000 through 2009, including full color photos.